It looks like the group will be busy in 2015, and I hope their activities are successful. All the best to all for 2015! 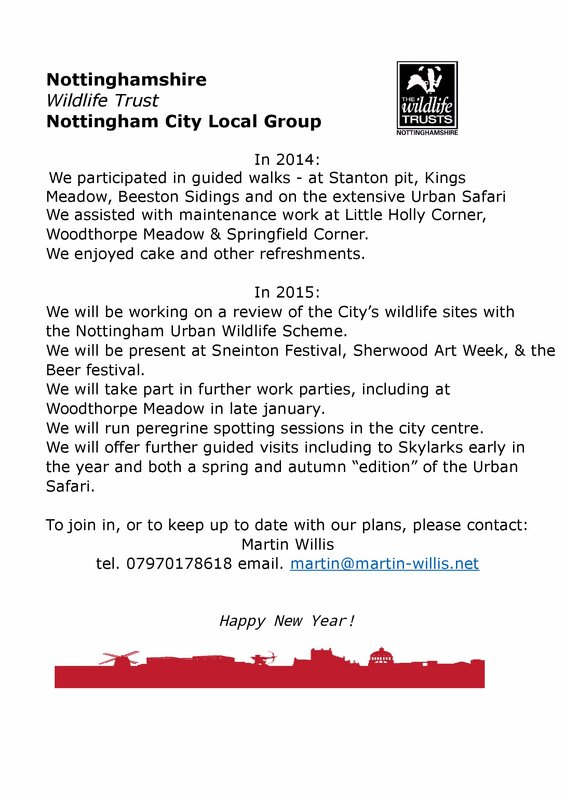 This entry was posted in Guest Contributors, News and tagged City Centre, Wildlife Trust. Bookmark the permalink.